Our team works as wedding photographer in Garda Lake for italian people and couples of other counties who decide to get married in Garda Lake. 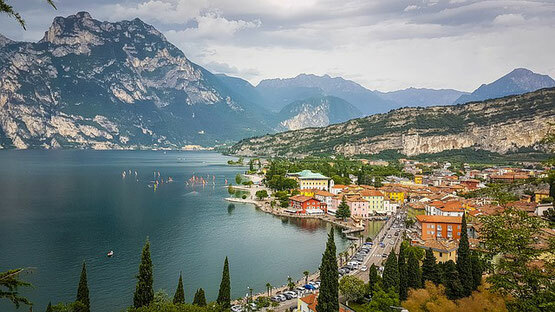 There are so many small and characteristc towns and it's an amazing experience celebrate a wedding in towns such as Gardone Riviera, Riva del Garda, Limone sul Garda and many other towns located in Garda Lake. We love our job and capture any beautiful moment in our pictures which or clients can enjoy for the rest of their life. Our clients can choose between many packages, from the small one to the luxury depending on their budget and by the type of wedding their are going to celebrate. There is also the possibility to have all the original pictures in HD. Our company offer also a bridal makeup and hair service made by one of the most talented italian makeup and hair stylist Lisa Semenzato. If you wish to know our rates do not hesitate to contact us here!